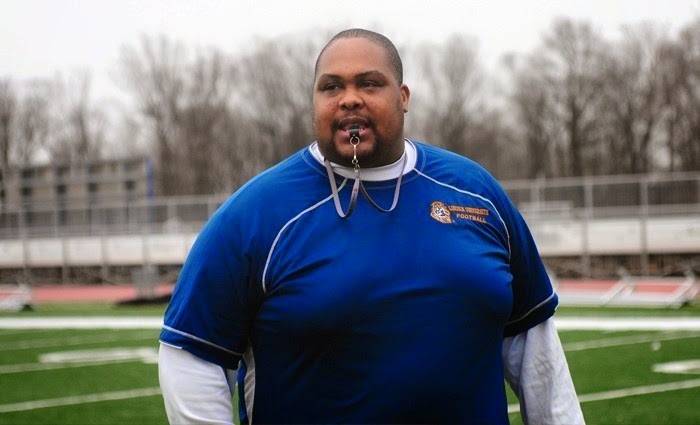 Head Coach Ramon Flanigan and his Lions started their 2014 the same way they started 2013 ( 33-28 over Cheyney) campaign with a bang! LU roared past the Wolves 30-18 putting an end to a 9 game losing streak. But just like a season ago the Orange and Blue would not win another game. Coach Flanigans Lions put an end to one streak to start another ! Despite the 9 game losing streak the Lions capped their season with a bang against Chowan in Murfreesboro, North Carolina as a young cub running back Stephen Scott carried the ball 30 times gaining 176 yards and scoring a TD. Despite the heroics of Scott the Lions lost to the Hawks 50-20! 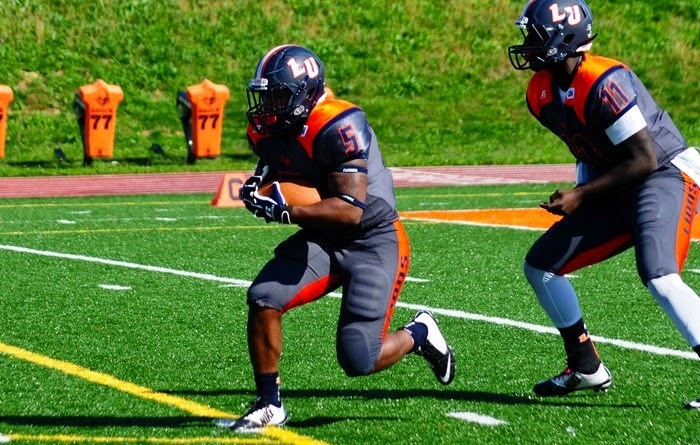 But the "Great" Scott broke two LU single game rushing marks with his 30 carry 176 yard performance(most carries & most yards). The Lions offense racked up a seasons best 416 yards of total offense in their season finale as QB Edward McKenzie handled the air attack completing 20 of 43 pass attempts for 201 yards and 2 Tds. 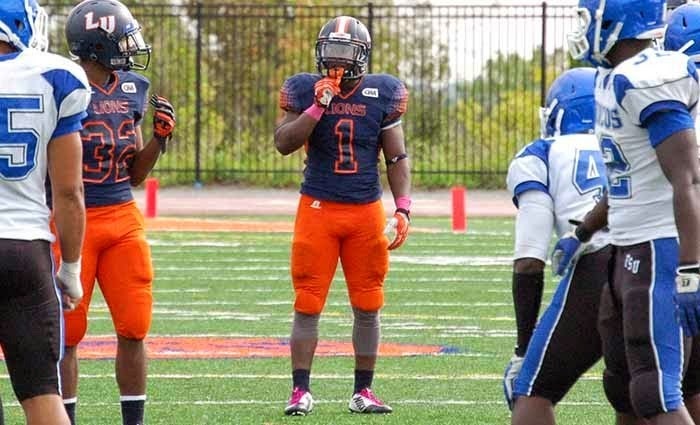 Standouts on the defensive side of the ball for the Orange and Blue were 6-2 320 pound defensive lineman Hosea Croom who competed in the 2014 FCS Bowl and All CIAA first team defensive back Brion Robinson ! 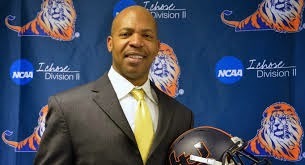 Speaking of defense congrats to the Lions coaching staff : Associate Head Football Coach Herb Pickens has been selected to participate in the 2015 NFL-NCAA coaches academy !
. He is a graduate of Lane College. Make sure to Check out who comes in at #48 in the TAJT-10 HBCU Final Football Poll and review of 2014 ! 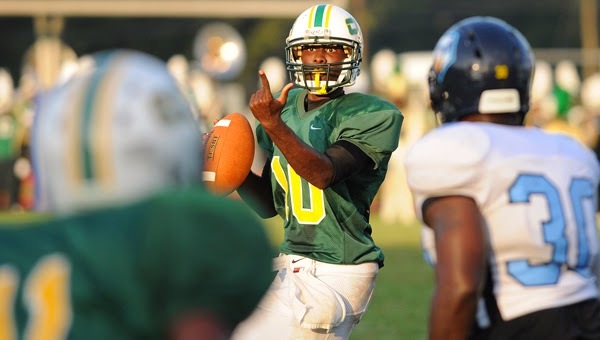 The Hornets of Concordia-Selma are the only HBCU in the Concordia College system , The green and yellow are members of the United States Collegiate Athletic Association (USCAA). That being mentioned not one player made the All USCAA team this season. Coach Stanley Connor is the 4th First year head coach in our TAJT-10 Poll. Coach Connor comes to the Hornets after serving as the head coach of Benedict. This season CCA-Selma kicked off with a 31-0 loss to the Golden Lions of Arkansas Pine-bluff followed up with a 27-14 win over Point University! Unfortunately the Hornets winning feeling did not last long as they buzzed their way on an 8 game losing streak. Coach Connors has bright spots going into 2015 despite the rough first season ! Freshman QB Horatio Keller ran the offense for 8 games and Junior QB Andre Millet helped keep the Hornets close in contest. Keller was 18-34 passing for 106 yards and ran the ball 12 times for 27 yards and a TD in the loss to Warner (17-12). While Millet Passed for a TD in the loss to Ave Maria (16-12). The Hornets lost their final game of the season 73-6 at the hands of Delta State! The Statesmen demolished the Hornets with an Air raid of 408 yards while compiling 536 total offensive yards. Despite that outcome coach Connor still had a bright spot in Freshman wide out Chris Lee ( 7 games 142 yards ) who garnered 95 yards on 4 catches and a TD as Kellers main target ! 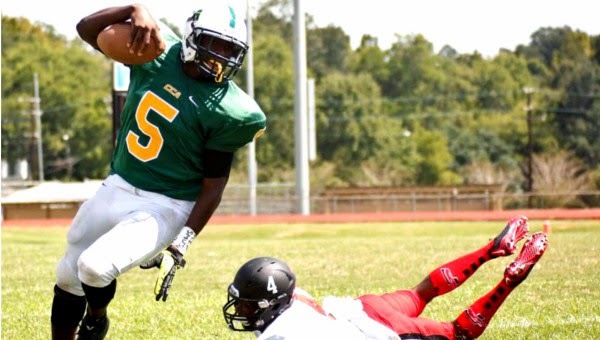 Defensively Linebacker Anthony McGilberry is the Sting in the Hornets Strike ! The 6'3" 205 pound outside linebacker lead the USCAA with 100 tackles and 60 of those were solo, not to mention his 6.5 tackles for loss and his 10 tackle per game average. Coach Connors and his Hornets will buzz into 2015 looking for a little more sting when they strike! Make sure to Check out who comes in at #49 in the TAJT-10th HBCU Final Football Poll & Review of 2014 !